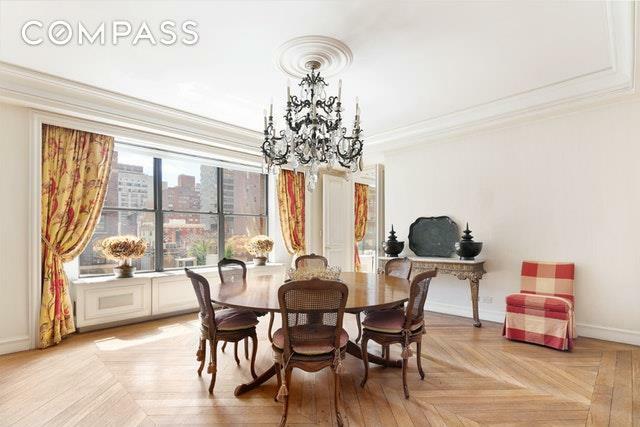 This sun-filled, high floor, ten-into-nine room residence offers a sophisticated lifestyle at the prime heart of the Upper East Side. 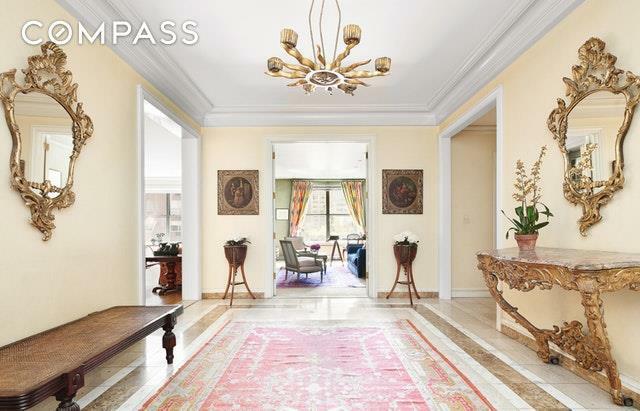 The coveted "D-line in this full service and prestigious cooperative has over a dozen windows looking south onto 72nd Street, from all of the major rooms. 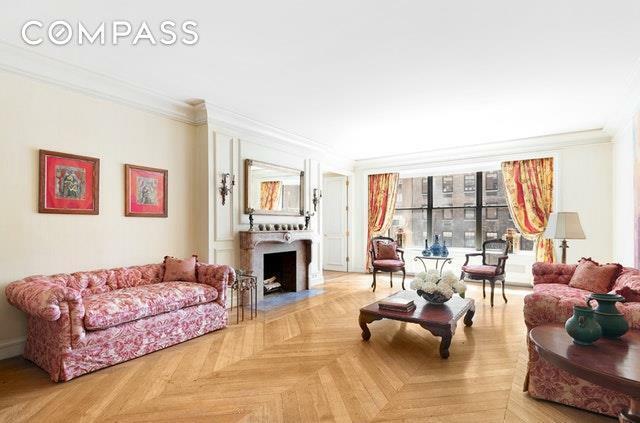 This is a rare-to-find, beautifully scaled, prewar gem. The apartment features high ceilings, wide-plank oak chevron floors in the entertaining rooms and an abundance of prewar details throughout. Bring your designer or architect!An ideal and classic layout affords a perfect flow for entertaining on a grand scale as well as for day to day life. 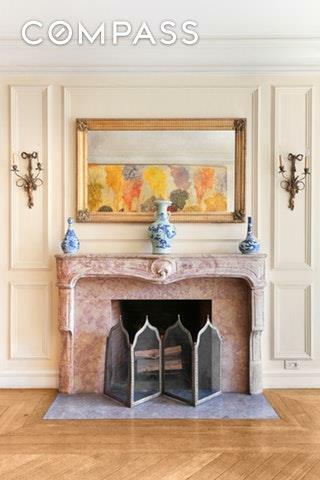 Entering the home from a semi-private elevator vestibule, a huge and elegant entry gallery leads to the perfectly proportioned 26-foot long living room, featuring three oversized windows and a wood-burning fireplace. Double doors open to a formal dining room. Also off of the gallery is the light flooded library. A windowed eat-in kitchen includes a breakfast area, walk-in pantry closet, abundant storage, and a butlers pantry providing access to the dining room. Adjacent to the kitchen is a staff room, a windowed bathroom and a laundry area.Opposite the entertaining rooms, a hallway leads from the entry gallery past a guest powder room and a large walk-in linen closet to the bedroom wing. The large master suite features a long hallway of closets, built-ins, and a six piece master bath with soaking tub, separate walk-in shower, bidet and double sinks. Both guest bedrooms include generous closet space and en-suite baths.Perfectly located at the heart of the Upper East Side, this elegant 14-story full-service cooperative is one of the oldest apartment houses in the neighborhood, designed by architects Schwartz and Gross and completed in 1917. Amenities include a full time doorman, superintendent, gym, bike room, and storage. Two storage units convey with the apartment. Maintenance includes electric. 2% transfer fee payable to the cooperative. There is an assessment of $457.25 in place until December 31st 2019.